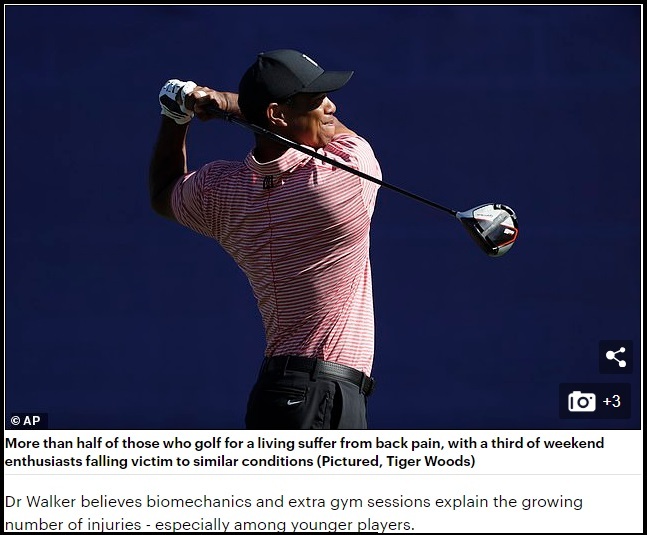 Thanks to David D. for sending this to me – more bad news for the Modern Golf Swing industry, as it seems more medical researchers are catching up with the snake-oil and bad science of restricted-hip back-torquing. This entry was posted in Classic Swing, Golf Swing Biomechanics, Kinesiology of the MCS Golf Swing, MCS Golf Swing, Modern Swing and tagged Classic Golf Swing, DJ Watts, Golf Swing Biomechanics, Kinesiology of the MCS Golf Swing, Modern Golf Swing, WAX Golf on February 7, 2019 by D Watts. Thanks to everyone who emailed/messaged about the following news piece, as I hadn’t yet seen it when I began getting your forwards! Once again, WAX Golf readers are on the ball. 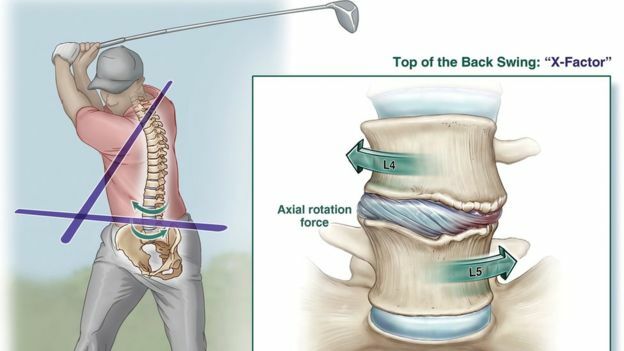 While the title actually says, “X-Factor Golf Swing Linked To Back Pain,” you can’t have pain without damage, and if you’re damaging your back doing something repeatedly over a period of years – you’re going to destroy it. This entry was posted in Classic Swing, Golf Swing Biomechanics, Kinesiology of the MCS Golf Swing, Modern Swing, Pivot, Planted Heel Swing and tagged Classic Golf Swing, DJ Watts, Golf Swing Biomechanics, Kinesiology of the MCS Golf Swing, Modern Golf Swing, Pivot, Planted Heel, WAX Golf on February 5, 2019 by D Watts. I have blogged on this topic before, but I cannot stress enough the importance of having optimal impact conditions when trying to drive the ball longer. 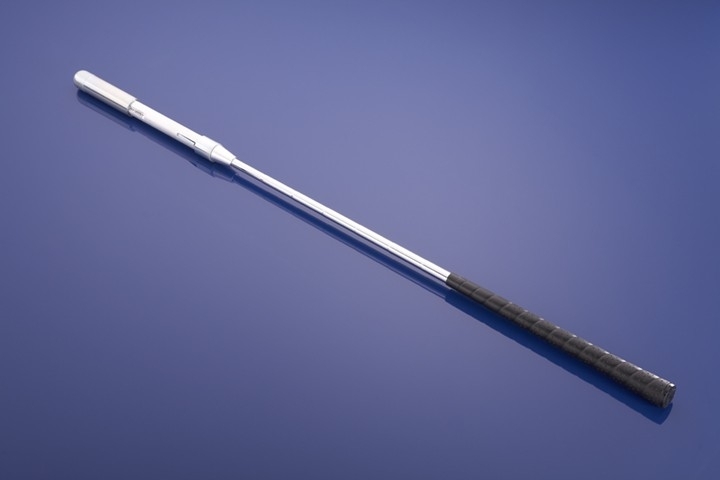 Improving impact will get you more distance, and faster, than trying to increase club impact speed. This entry was posted in Address Procedure, Angle of Attack, Blake Elliott, Jerry "Big Toilet" Crowell, Kinesiology of the MCS Golf Swing, MCS Golf Swing, MCS Perfect Pivot, Swing Speed and tagged Address Procedure, Angle of Attack, Blake Elliott, DJ Watts, Jerry "The Big Toilet" Crowell, Kinesiology of the MCS Golf Swing, MCS Perfect Pivot, Swing Speed, WAX Golf on July 26, 2016 by D Watts. I’ve held Jack Nicklaus up as the greatest golfer of all time, and for more than just that he won 18 majors. He won 18 to Tiger Woods’ 14, and throw in 19 runner-up finishes to Phil Mickelson’s 11 to date. The most majors ever, won over a span of 25 years (a quarter century! ), compared to Woods’ 11 years of major winning, the most runner-up finishes, and the 3rd most total wins on Tour. 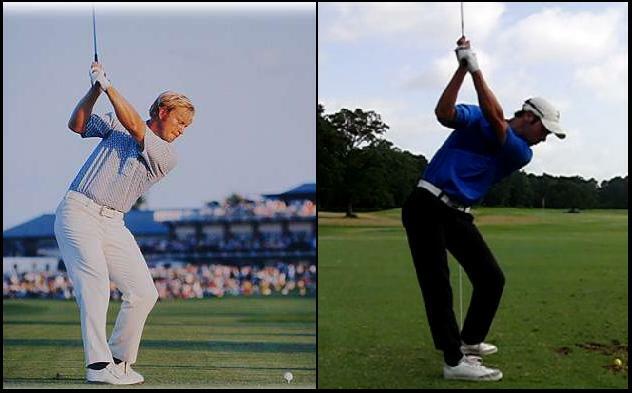 This entry was posted in Blake Elliott, Classic Swing, Jack Nicklaus, Kinesiology of the MCS Golf Swing, Leverage, MCS Golf Swing, MCS Perfect Pivot, Modern Swing, Pivot and tagged Blake Elliott, Classic Golf Swing, DJ Watts, Jack Nicklaus, Kinesiology of the MCS Golf Swing, Leverage, MCS Perfect Pivot, Pivot, WAX Golf on July 21, 2016 by D Watts.